Friends of his and hers come visit from time to time, and we love that. It's a truism that people get along better when they are in front of others, and the closest thing to a vacation for us is having friends visit, of course the kind of friends that you can relax with. 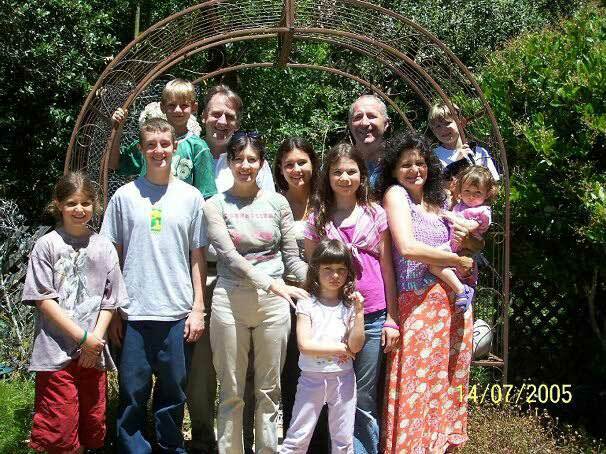 Here they are with their four daughters (descending in age, oldest first), Fiona, Maeve, Leah and Chenoah, in our garden on Bastille Day 2005 with Alban, Daphné, Charles, Alex and the parents. Tom was in Paris visiting his mother, and Nick with his friend Gael visiting from Paris. 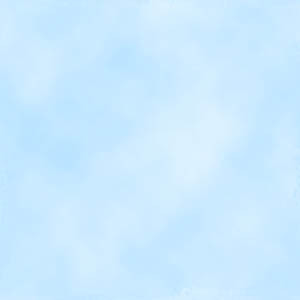 Here are Faby and Jean again at the bottom of this page, in front of the same arch. We have actually been a little disappointed because visits from friends in Europe are often notable by their absence. Which does not stop us going to visit them! Which we do pretty often, especially if they are in the UK or France, where we vacation most summers. The summer of 2004 found us in both the UK and France. 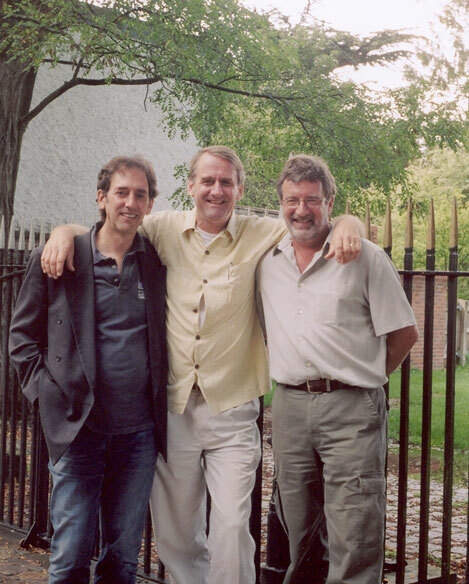 On the left, Ian with Gez Kahan and David Milsom, two other Old Boys (the term more literally correct as time passes) of Sir William Borlase's School, Marlow. When we left school, our combined age was about 50. Now it's over 150 years. There's been a lot of water under those bridges! There's more on David here and Gez here. This photo was taken looking on to the school playing fields and the cottage where in 1817 Mary Shelley is reputed to have written at least part of Frankenstein. Below is a scene from Paris in August 2004, almost at the end of the vacation, and we've moved to family as well as friends. 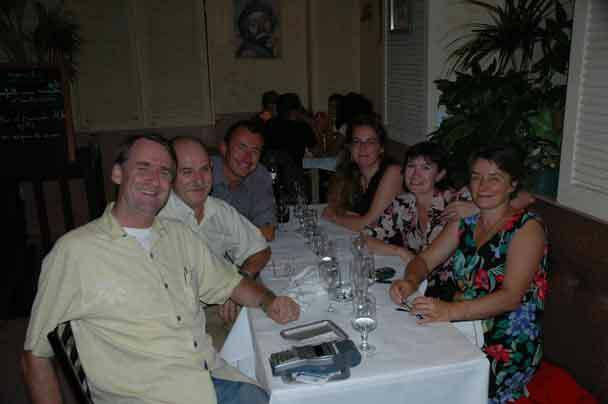 We dined with Denis and Claire, Marie-Hélène's brother and his better half, and Jocelyne and Alain, one of her oldest and dearest friends and her better half. Joce was kind enough to put us up, all four of us, the night before we flew back to California. Here are more of her friends, his old friends, her family and his family, not to speak of the Hanlons, Courtney and Antony's wedding (they're family, below), and Ian's 50th birthday party. 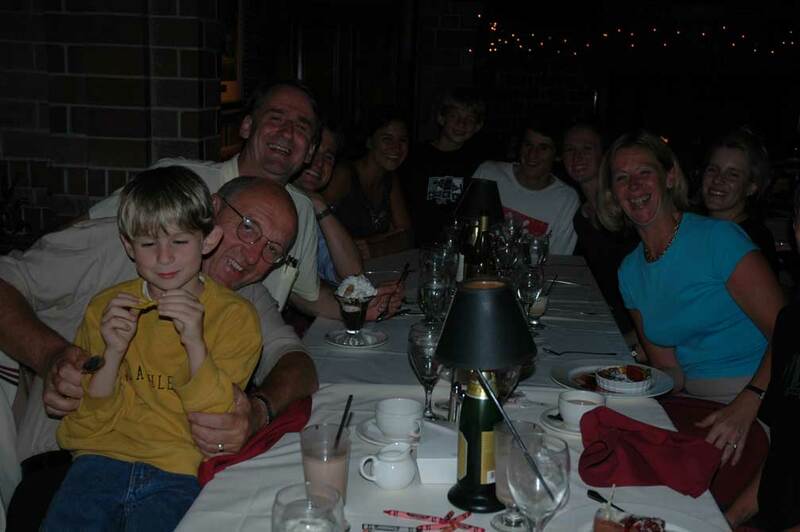 Finally, here is one of a visit by the Nashes, Ian's sister and brother-in-law and their troupe, to Santa Cruz in July 2005. They all came to visit and took us out to dinner at Shadowbrook, one of Santa Cruz's nicer restaurants, on the banks of the inlet in Capitola. Marie-Hélène took the picture, Antony, Sue and Derek's son, got stuck behind someone hard to see through, Alex is studiously looking somewhere else even though he has pride of place, and Tom did not quite make the frame. From left to right it's Alex, Derek, Ian, Antony, Daphné, Charles, Nick, Laura, Sue and Derek's daughter, Sue and Courtney, the new Mrs. Nash. Too many people! We haven't seen all the Nashes since that hectic evening!